INOX brings it`s exceptional 7Star experience to New Delhi for the 1st time. It’s a perfect blend of Luxury, Technology & Service dedicated to true cinema connoisseurs! #INOXLaserplex. 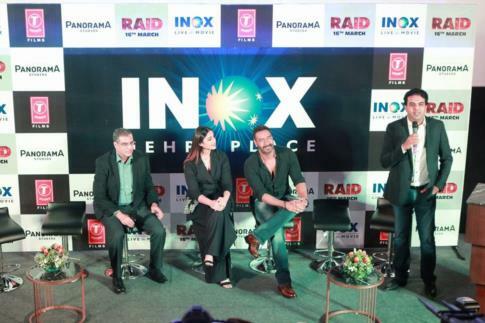 Ajay Devgn & Ileana DCruz along the team of Riad were present for this launch.